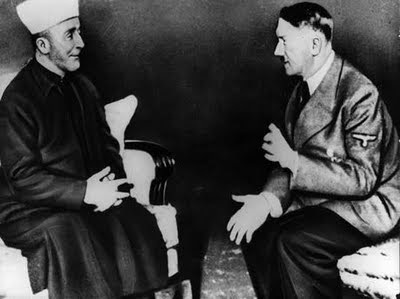 Although I appreciate your attempt to equate any collaboration with Nazism as being an instance of anti-semitism, I can assure you that your views on Bose are somewhat erroneous. 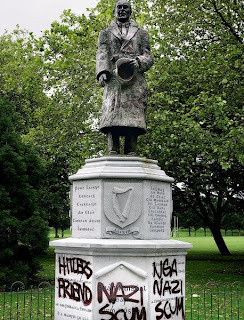 Bose was fully aware of the nature of the Nazi regime and even made public comments deploring Nazi anti-semitism in the late 1930s during his stay in Europe (following an expulsion by the Raj). For details see (American Jewish scholar) Leonard Gordon's book Brothers Against the Raj, which was published by Princeton University Press in 1990. 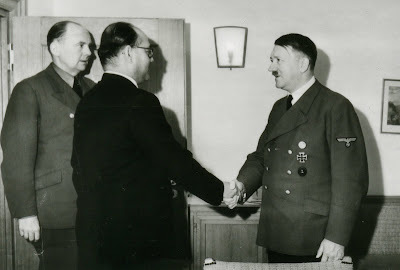 Your views on him, on his brief handshake with Hitler, (and for that matter, later with Tojo and Hirohito) somehow overlooks the fact that Bose's efforts, for all its military failure, was a brilliant political success. The Indian National Army Trials and the Royal Indian Navy Mutiny of 1946 shook the foundation of the Empire. The British left India, only because they could not take for granted the loyalty of the sepoy, which had for two centuries propped up the Raj. To that end, Bose's brief alliance with those in the wrong side of history were in the long run, providential. Other leaders like Jose Laurel, Ba Maw, Sukarno had also collaborated with the Japanese, and had successful post war political careers. To that end, Bose was not so fortunate.